Credibility. Without it, a growing company in a competitive arena is lost. With it, it can be a steamroller. Not that Aurora Cannabis (NYSE:ACB) was lacking credibility, but now that it has activist investor Nelson Peltz on board as an advisor, the budding company has much more than it did. ACB stock jumped 14% on Wednesday, ultimately because the hedge fund manager will help Aurora speak with all the right people that can help take the organization to the proverbial next level. Other reasons were cited for the big jump in Aurora Cannabis stock, and those weren’t necessarily wrong. But, it’s the sudden jolt of Peltz-related credibility that fueled the move. And yes, for some investors who still weren’t quite convinced, this could be enough of a reason take a shot on Aurora Cannabis stock. ACB been something of an outlier among its pot peers, actually. Canopy Growth (NYSE:CGC) last year attracted Constellation Brands (NYSE:STZ) as a major stakeholder. Cronos Group (NYSE:CRON) is in bed with Altria Group (NYSE:MO) which now owns 45%. Aurora doesn’t have a major partner yet. The reasons why aren’t exactly clear. The Canadian company has as much to offer an aspiring cannabis player as Cronos or Canopy Growth. Those reasons, however, are also now irrelevant. Peltz has already dropped hints that he intends — as Aurora is tacitly hoping — to set up deals. Some investors are particularly celebrating the fact that Peltz brings a wealth of experience within the food and consumer goods segment. The two upsides are just the tangible manifestations of a much-bigger benefit Peltz brings to the table, however. While Altria and Constellation are recognizable brand names, neither are established as dealmakers. They’re interest in cannabis is largely self-serving, and their plans for their partnership are limited to the development of cannabis-based products. Not so for Nelson Peltz and Aurora Cannabis. He’s a known dealmaker that some companies and many investors like to see get involved, especially when potential value has been locked up for too long. Peltz is also not limited to creating synergy between just two organizations. He’s willing and able to establish as many partnership with as many entities as possible, without stirring up concerns that he may be building up his partners’ competitors as well. He will be doing that, but at least all partners know where they stand, and that Aurora is looking to become a supplier to multiple customers. There’s room for all of them, and Peltz will be able to make introductions ACB couldn’t on its own. Perhaps more than anything else, however, Peltz wants the same thing existing Aurora Cannabis stock holders want — for the share price to rise. He’s being granted options for up to nearly 20 million shares of ACB stock at $7.74 a share, vested gradually over the next four years. So, Peltz doesn’t make any real money unless the stock performs well. Don’t misread the message. While this is certainly a big win for Aurora, the company remains a risky proposition for multiple reasons. One of them is that cannabis remains illegal at the federal level in the United States despite widespread state-level legalization. Pot’s future, and the future of all its derivatives, is still a bit dazed and confused. There’s also the not-so-small reality that cannabis and now cannabis-based products are quickly becoming a commodity, which could crimp margins for the debt-laden Aurora. Nevertheless, if Peltz can pull the right strings — and he’s certainly got strings to pull — the bullish case for Aurora Cannabis stock is bolstered. It’s not a reason in and of itself to buy the shares. But, for investors on the fence about stepping into a position, the hedge-fund player’s news may be even bigger than the market realizes. 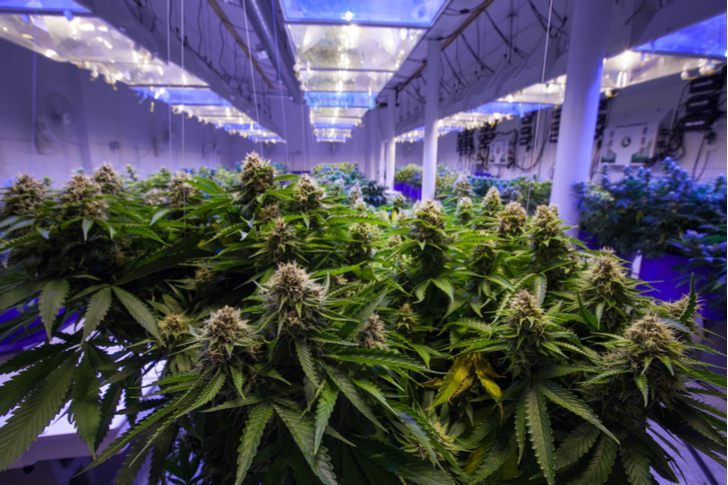 Article printed from InvestorPlace Media, https://investorplace.com/2019/03/aurora-cannabis-acb-stock-nelson-peltz/.